Taking Tomatoes Back To Their Tasty Roots Most supermarket tomatoes are bred for durability during shipping and to produce high volumes of fruit. Now, scientists at the University of Florida are trying to recapture the tomato taste that made the fruit so popular originally. To create this tasty tomato, the scientists are using a mix of genetics and psychology. Scientists in Florida have a noble aspiration: They want to restore the supermarket tomato to something that tastes more like a tomato than a piece of cardboard. The researchers say it will take a combination of psychology and genetics to accomplish their goal. U.S. farm sales of tomatoes rake in more than $2 billion every year. By value, the most-sold tomato varieties in 2008 were hothouse tomatoes on the vine, grape tomatoes, and round field tomatoes, in that order. Heirloom tomatoes, or nonhybrid tomatoes, accounted for 1 percent of tomatoes sold in the U.S. in 2008. While many U.S. stores sell genetically modified products, particularly corn and soy, tomatoes in U.S. supermarkets have not been genetically engineered. Most store-bought tomatoes are hybrids, which have been naturally bred for a longer shelf life and ease of transport. Genetically engineered foods are made by introducing DNA into a plant that wasn't there before. But naturally bred products are made by mating two plants that are reproductively compatible — much like the breeding of dogs. Many tomatoes bred for shipping long distances have a mutated gene that slows down their ripening process. Unripe tomatoes travel better, but once they arrive at the warehouses near their destination, they need help to ripen. This is where ethylene gas comes in. 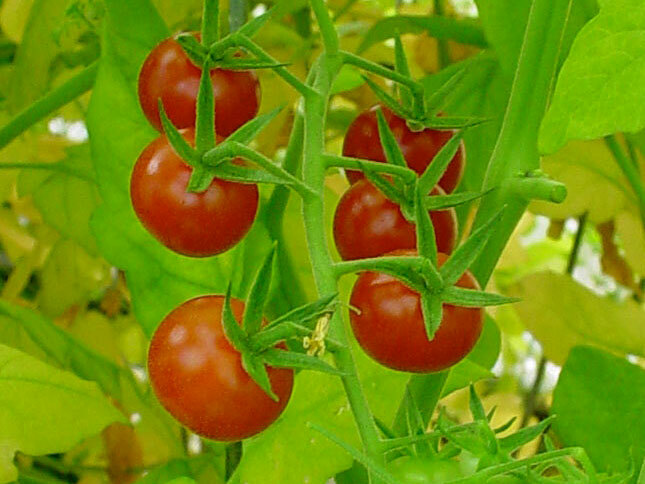 Ethylene is a natural hormone that plants create; in tomatoes, it signals them to ripen. After tomatoes are shipped, but before they are delivered to the grocer, stacks of boxes of tomatoes go into a huge room that is pumped full of ethylene gas. After about a week, they're ready to head to the grocer. Breeding a tomato that consumers will like because it tastes good isn't that hard. And breeding a tomato that farmers will like because it has a high yield is also fairly straightforward. Getting both qualities in one plant is the tricky part. The pressure for high-yield plants is responsible for the dismal taste of the supermarket tomato. Harry Klee, a plant biologist at the University of Florida in Gainesville, says it's a simple matter of economics. Plant biologist Harry Klee is hoping to use some genes from these tasty Solanum pimpinellifolium and put them into modern, high-yield varieties. "The grower is paid for size and yield -- and flavor is irrelevant, unfortunately," Klee says. In fact, the yield is so great for some tomato varieties that the plant can't keep up. Because the plants have been bred to produce so many fruits, they can't produce enough sugars and other nutrients. "And so what happens is you start to dilute out all of the good flavor compounds, and you get a fruit that you bite into it and it largely tastes like water," Klee says. "Because that's mostly what it is." But Klee thinks there's a way to improve the taste, without sacrificing yield. The secret is in a class of chemicals called volatiles. These are what give tomatoes much of their distinctive smell and taste. "There's much more potential to increase the volatiles than there is the sugars or the acids," Klee says. "We think we can make huge improvements in the flavors without sacrificing all of the yield." But determining which volatiles are crucial for a pleasing taste and smell is a job for psychologists. So Klee joined forces with Linda Bartoshuk. She's an expert in measuring relative tastiness. She discovered supertasters, people who taste everything far more intensely than the rest of us. She says by developing the proper measurement tools, she can tease out what people most like about tomatoes. She'll then use that information to help Harry Klee zero in on the qualities he needs to build his tastier tomato. To achieve Bartoshuk's recipe, Klee will take genes from existing tomato varieties. 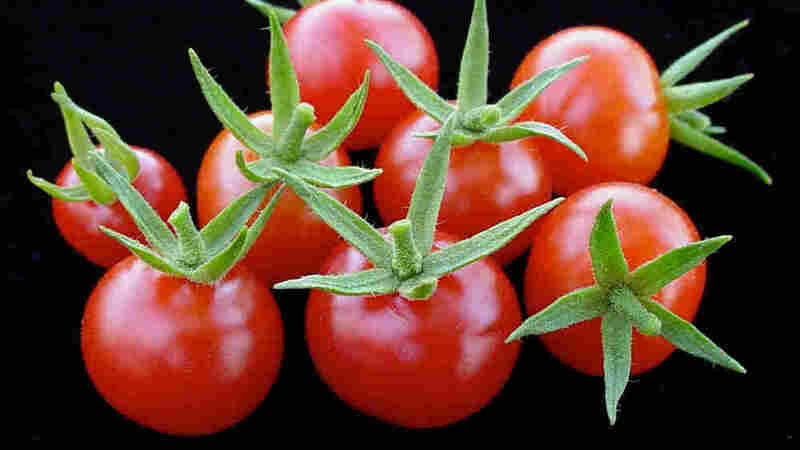 Many of the key genes are likely to be found in wild tomatoes. 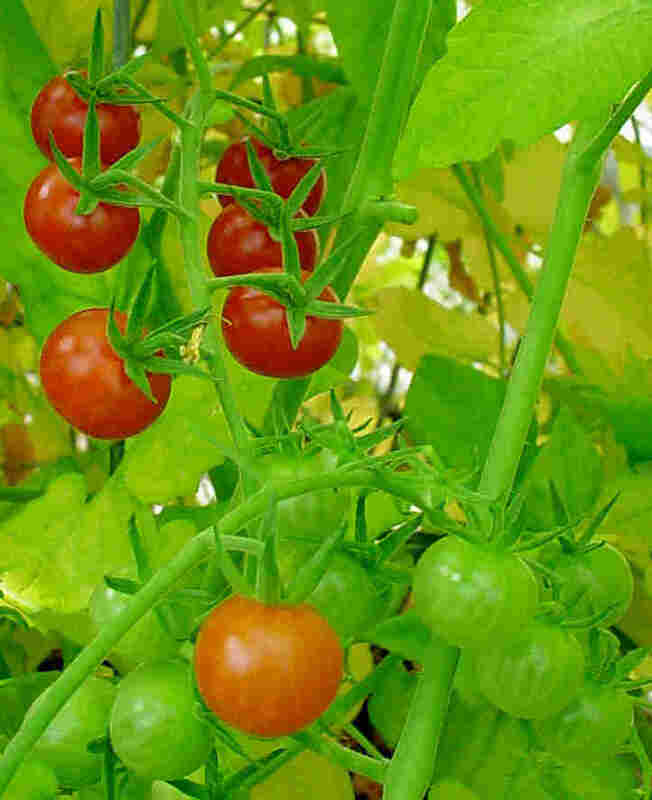 These plants produce tiny fruit -- only slightly larger than a pea -- but they have an intense tomato-y flavor. The good news is, molecular genetics has speeded up plant breeding enormously. One lab can now do what it used to take thousand of breeders to do. "And with modern molecular breeding tools," says Klee, "I can do that in months instead of years." The tomato-loving world will be waiting anxiously.